This journal is written by Kuma (Felis catus) and Kuma's owner Y (homo sapiens). We have moved from Japan to Australia in 2011. 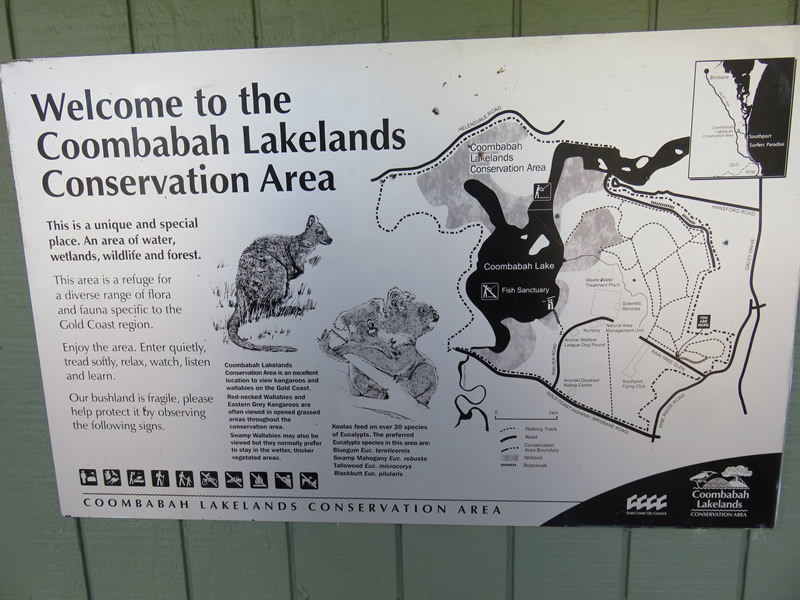 I went to the Coombabah Lake Conservation Park last month. I was going to write about this topic but almost forgot. This park is also called Coombabah Lakelands Conservation Area. It is located in the North Gold Coast region. I have read a blog that was written about koalas in this park. The writer of the blog said that she saw koalas and wallabies there. 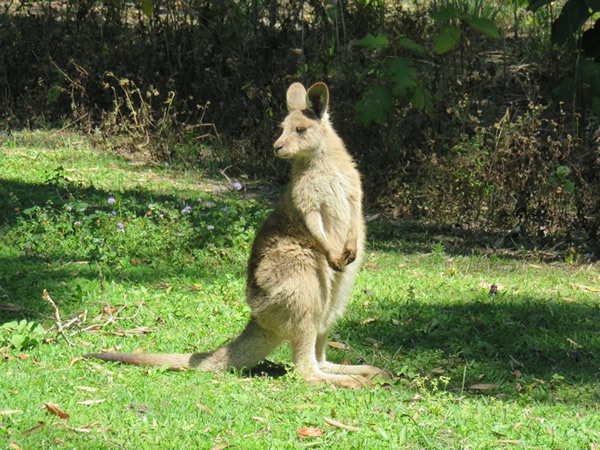 Wallabies are commonly seen around my house but I haven't seen koalas here. It was amazing that koalas live near a commercial area like the Gold Coast. Then I went to the park with a camera which was charged with a full battery. There were lots of walking courses; Wallaby Track, Koala Track and so on. It was very convenient that I could choose courses that suite my physical condition. As soon as I arrived at the park, I looked for koalas. Most of the trees in the park are very tall. Koalas usually sleep on the trees, so I had to look at the top of the trees while I was walking. The park was flat and wasn't crowded at all so that you might think it's not so difficult to look upward and walk at the same time, but it wasn't so. The reason was there were many droppings of wallabies on the ground. I just remembered a computer game called "Minesweeper". It was like walking on the Minesweeper board, I was so busy avoiding wallabies. After I walked for about 30 minutes, I suddenly noticed that I forgot looking for koalas. I had been paying too much attention to my steps and forgot to look at the top of the trees. What a mistake! I might have missed a koala. 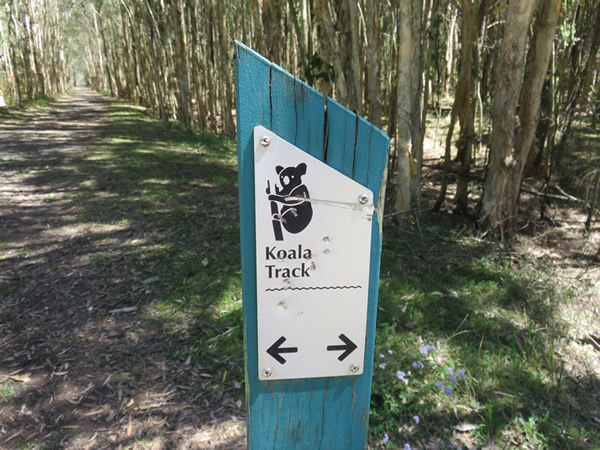 I could have gone back to the Koala Track but it was a hot day, and I had neither the willpower nor the physical strength at that time. On the way to the parking, I saw several wallaby families. One of them was very young and it looked fluffy and really cute. I was a little disappointed but I tried to convince myself that today's walking was good, I could see cute wallabies here. While hearing the laughing voice of a kookaburra in the rear, I promised myself "I will be back here someday."